Following the road chaos in East Belfast over what seems to be years now, the new department covering the Rapid Transport scheme, the Department for Infrastructure has announced the opening of new bus lanes on the Upper Newtownards Road in the East of the City. The new bus lanes which are located between Holywood Arches and Sandown Road at Ballyhackamore, will be introduced on Monday 27 June 2016. The completion of this phrase will see the two bus lanes in essence operating between Knock and the Holywood Arches both city-bound and country-bound from 7:30am to 9:30am and from 3:30pm to 6:30pm Monday to Friday. 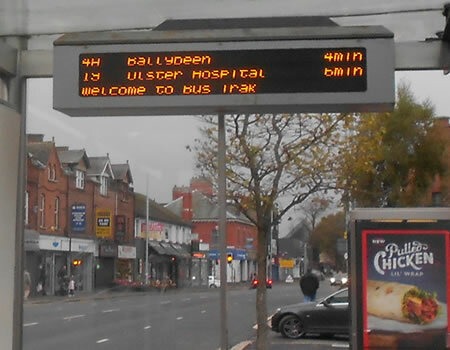 Whilst the DFI is keen to promote that these new lanes, which form part of the Belfast rapid transport scheme, will provide increased priority for buses on this key public transport route and should lead to a faster and more efficient service, some businesses and residents along the route remain concerned. What will it mean for the school run in the morning, school pick up in the afternoon and shops who operate during these times and what will it mean when the scheme is complete and both East Belfast & West Belfast find themselves with bus lanes operating city and country bound for the full length of the day, 12 hours a day between 7am to 7pm? A Department for Infrastructure (DfI) spokesperson said: “This is another key step in the delivery of the Belfast Rapid Transit system. This vital infrastructure project will connect East Belfast, West Belfast and Titanic Quarter via the city centre. DfI would ask drivers to take extra care when travelling on this stretch of the Upper Newtownards Road until they are familiar with the new arrangements.